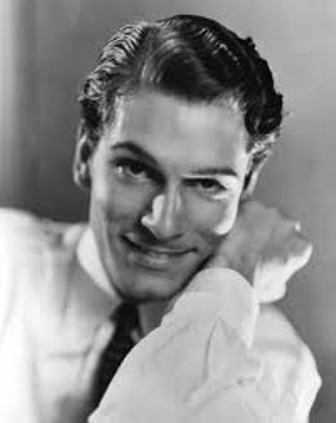 Laurence Kerr Olivier was born on 22 may 1907 in Dorking, England. He was the youngest of three children and the apple of his mother’s eye. His father was a strict High Anglican priest who was very cold towards his youngest son. Laurence’s life changed dramatically when he was 12: his mother passed away of a brain tumor and he was sent to boarding school. Already a fan of playing make believe, he forgot his pain by playing in the school’s drama productions. His talent did not go unnoticed and he enrolled in the Central School of Speech and Drama on a scholarship. Money was hard to come by for him in those days and it was not unusual for him to go a day without food. 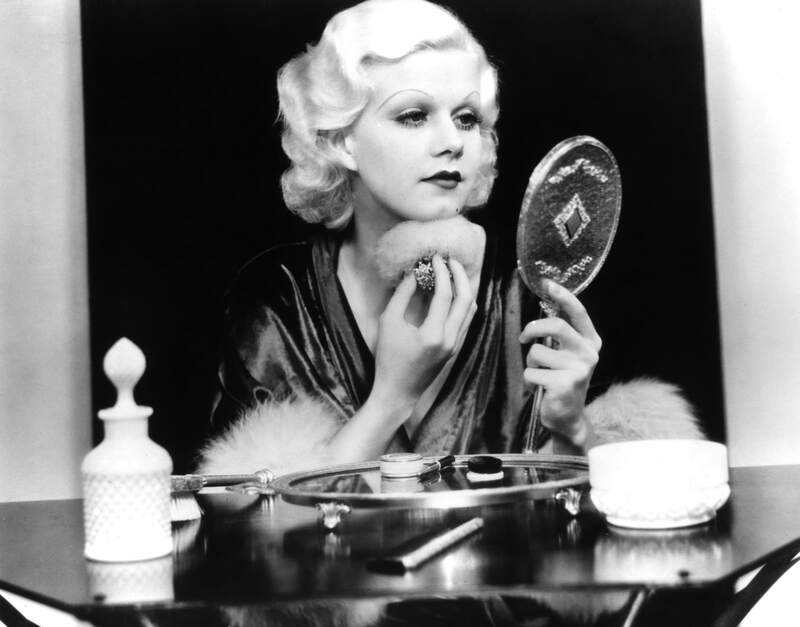 He was given minor roles in stage plays and in 1926 he joined the Birmingham Repertory Company. He left the company two years later and soon got a role in the play Bird in Hand. He starred opposite actress Jill Esmond. He proposed to her several times and eventually she agreed. Laurence and Jill were married on 25 July 1930. It is said that Jill was a closeted lesbian and that Laurence himself was bisexual. He admitted his sexual ‘dalliances’ with men in his autobiography, but also referred to his ‘old fashioned ideals’ regarding love. Nevertheless, Laurence and Jill did care for each other and stayed together for years. In the meantime Laurence acted in two films, The Temporary Widow and The Yellow Ticket, but he did not think much of the film industry. Indeed, his big break came on the stage. In 1930 he starred in Noel Coward’s Private Lives together with Jill. 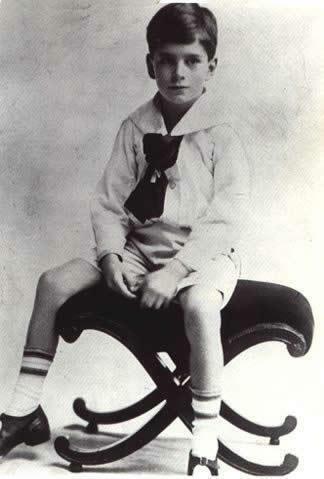 The highly successful Noel became a mentor to the young Laurence and introduced him into the high society. During the Broadway run of Private Lives Laurence and Jill were offered a contract by a Hollywood talent scout. Although Laurence felt that making films was beneath him, he realized it was The Great Depression and films paid well. But he only made a handful of films while under contract in Hollywood and after two years he convinced Jill that they should go back to England. By this time, Laurence was feeling quite depressed because of his failing career and loveless marriage. But his luck was about to change. Respected Shakespearian actor John Gielgud asked him to play the Romeo to his Mercutio in Romeo & Juliet in 1935. The play was a great success and it was the start of Laurence’s career as a Shakespearian actor. 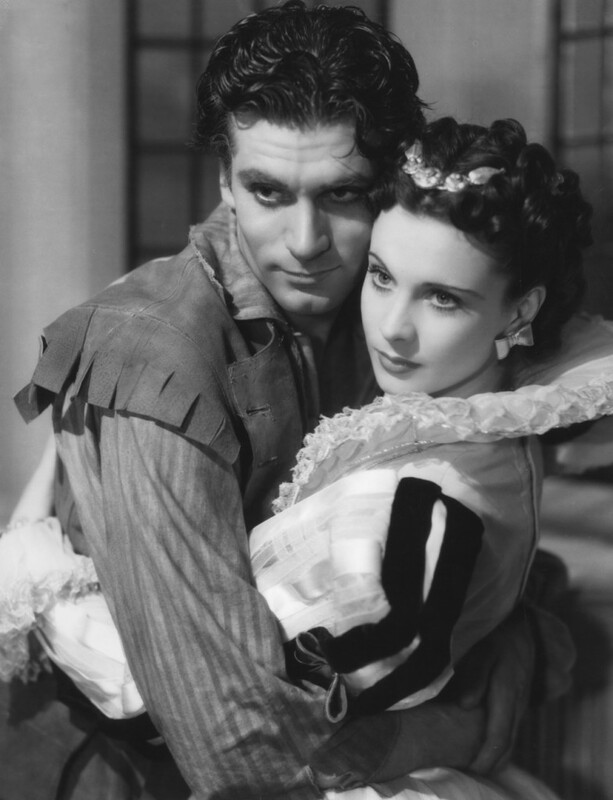 While his career was on the rise, he met the young and ambitious actress Vivien Leigh. Laurence and Vivien became friends and they even vacationed together along with their spouses. But this harmonious friendship would not last long. In 1937 Laurence and Vivien played opposite each other in the film Fire Over England and they began an affair that would change their lives. The chemistry between the two was palpable and soon they left their spouses to be together. The public condemned them, as they were married and had children. On August 21, 1936 Jill had given birth to a boy named Tarquin. Unfortunately, both Vivien and Laurence did not have a good relationship with their respective children from their first marriage. It was only when their children had grown up that they began to spent more time with them. Meanwhile, their spouses were upset and it took three years to finalize both divorces. But Laurence’s career was still going great. In 1937 he accepted a contract to do classical theatre at the Old Vic. Laurence’s run at the Old Vic, with plays like MacBeth and Othello, was so successful, it established him as the great Shakespearian actor he desired to be. Nevertheless, Laurence realized that film made more money ánd fame. So in 1938 he accepted the part of Heathcliff in Wuthering Heights. Vivien went with him to America, but not just to keep him company. She had set her sights on the role of Scarlett in Gone With The Wind and was determined to get it. Her plan worked and Gone With The Wind became such an immense success that it overshadowed Wuthering Heights. Laurence was proud of her, but jealous of her success as well. In the meantime, war had broken out in Europe and the couple decided to stay in America for the time being. In 1940 their divorces were finalized and they wed in a simple ceremony on 31 August. Their first act as a successful married couple was to create Romeo & Juliet for the American stage and the pair put all their savings into it. The production failed miserably and they went back to England to help with the war effort. Laurence joined the Fleet Air Arm, but was never called to see action. He missed the acting world tremendously, so he jumped at the chance to direct and play in the film Henry V in 1944. It was not a good year for Vivien though, she was diagnosed with tuberculosis and suffered a miscarriage a few months later. She became very depressed and suffered from volatile outbursts, signs of the bipolar disorder she would be diagnosed with years later. When the war ended Laurence was asked the be co-director of the revived Old Vic theatre company. Laurence accepted and loved the opportunity to be behind the scenes as well as on the stage of the theatre he so adored. He was the star of the Old Vic and the reviews were better than ever. Vivien mostly retreated into their mansion Notley Abbey. 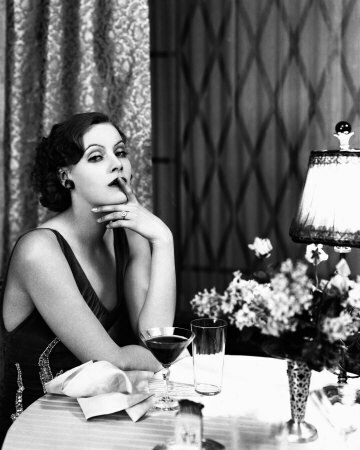 She thoroughly enjoyed interior decorating and was known to be a great hostess to their many friends. Still, her bipolar disorder always lurked beneath the surface and it caused problems in their marriage. In 1947 Laurence was made a Knight Bachelor, something he was very proud of, and he embarked on a tour through Australia and New Zealand to raise funds for the Old Vic of which he had just been appointed Head. Vivien went with him for the six-month tour, but her bipolar disorder was taking a toll on their marriage. The cast and crew noticed the many fights between the couple and Laurence would later say he ‘lost’ Vivien in Australia. When they got back to England, Vivien accepted the part of Blance DuBois in the stage production of A Streetcar Named Desire and Laurence was contracted to direct. She took the role of the deeply troubled Blanche extremely seriously and after the play ended, she was offered the part in the film version opposite Marlon Brando. She would later state that playing Blanche tipped her ‘over into madness’. Meanwhile, Laurence had been offered to play in the film adaption of Carrie. Both of the films would become huge hits, with Vivien even winning an Oscar for her performance. They went on to do a stage production of Antony and Cleopatra together, but their personal relationship would never be the same. It is common knowledge that they cheated on each other during this time and a lot of their relationship was by now based on their work. They were considered a power couple in the theatre and movie industry and they knew it. So they did their best to keep up appearances and to hide their problems and Vivien’s worsening bipolar disorder from the world. In 1953 Laurence was busy shooting The Beggars Opera, when Vivien suffered a breakdown while filming in Ceylon. She was quickly brought back to England and it was only now that their inner circle learned of her bipolar disorder. Laurence himself was not feeling too well during this time either; Vivien’s problems weighed heavily on him. Still, Vivien recovered enough to resume her professional partnership with her husband. They played in the stage production of The Sleeping Prince together in 1953 and starred in several Shakespeare productions at Stratford-Upon-Avon in 1955. Laurence made the best of his celebrity status and starred and directed several successful features. In 1955 Laurence would make the last of his three most successful Shakespeare films. After Henry V and Hamlet, he now tackled Richard III. He was nominated for an Oscar for a fifth time in his career. In 1957 he paired up with Marilyn Monroe for the film adaption of The Sleeping Prince re-titled The Prince and The Showgirl. He directed the film as well, but often clashed with his famous co-star. Meanwhile Vivien, who visited the set often, had gotten pregnant, but miscarried a couple of months into her pregnancy. Coincidentally, the same thing happened to Marilyn during filming. It is safe to say, it was a harrowing time for all involved. 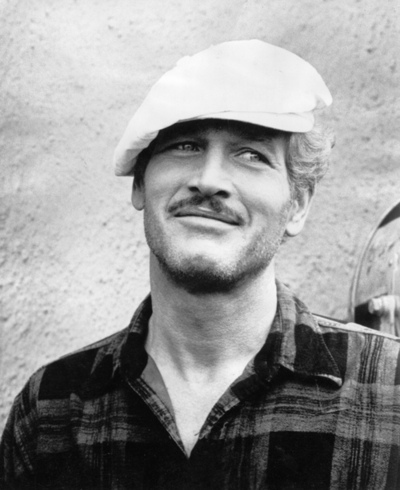 Laurence was looking for something new and fresh in his career and Marilyn’s husband Arthur Miller had suggested play writer John Osborne. The result was the play The Entertainer. One of his co-stars was a young actress named Joan Plowright and soon enough, Laurence and Joan began an affair. Although Vivien was terrified of losing Laurence, she knew about his affair, and subsequently began one herself with actor Jack Merivale. But these were not mere affairs, both Laurence and Vivien would stay with their new partners until their respective deaths. Their divorce was finalized in 1960, but they would always remain in touch. Although his career thrived, with films like Spartacus and The Entertainer, it was not a happy time for Laurence. He felt tremendous guilt over the failing of his marriage and his brother had recently passed away. But things got better, as he married Joan on 17 March 1961 and in December their son Richard was born. Laurence remained a workaholic though and in 1963 he became one of the founders ánd the inaugural director of the National Theatre. For the next ten years, a lot of his energy and time would go into the plays of his Company. It was a family affair though, as Joan was very involved in the Company as well. The family continued to expand: on 10 January 1963 their daughter Tamsin was born. In 1964 he started to have anxiety attacks onstage and his doctor recommended that he slowed down and take a holiday. Laurence did not take his advice and worked harder than ever. His family life kept him busy as well: Joan wanted another baby and on 26 January 1966 their daughter Julie-Kate was born. But Laurence’s body was about to force him to calm down: in 1967 he began to feel unwell and on his sixtieth birthday he was diagnosed with prostate cancer. While in the hospital, he received a phone call from John Merivale: Vivien had passed away of tuberculosis. He was shaken by her sudden death and still fragile from his cancer treatment. Yet he decided to forget his anguish by doing what he did best: working. Besides his work for the National Theatre he also took on small roles in films such as Romeo And Juliet and The Battle of Britain. Although he was now cancer free, he suffered from pneumonias, infections and had a lot of trouble remembering his lines. But when somebody asked him about retiring, he said: ‘They’ll have to kick me out!’. The National Theatre was not doing so well, but Laurence was shocked when in 1973 he was replaced as artistic director by Peter Hall without being consulted. He was furious, but put on a brave face and publicly stepped down as director. In 1974 he had just finished filming Love Among the Ruins with Katharine Hepburn when he noticed strange physical changes. He was diagnosed with dermatomyositis, a degenerative muscle disorder. The disorder causes progressive muscle deterioration, malnutrition and respiratory failure. Soon he was paralyzed and inarticulate. He had to re-learn everything, from walking to speaking. Laurence slowly recovered, but one of the remaining effects was extreme pain at the slightest touch and chronic weakness. Because of this he was unable to perform onstage ever again. Thankfully, the camera was more forgiving. On film sets they could give Laurence the time and space he needed to give a good performance. And so, in 1975, he was acting once again. Because of his health issues, it cost him a lot of effort, but he did not care. In March 1979 he was presented with an honorary statuette at the Academy Awards. He was a living icon and he knew it. During this time his marriage to Joan was unraveling and they spent less and less time together. Though they publicly denied getting a divorce. He looked for the company of old friends and reminisced about Vivien a lot, but he was still a workaholic at heart. The last four years of his life Laurence’s short term memory started to fail him. He could recount details of his life with Vivien and World War II, but not what happened yesterday. Though he had his bright moments and he was very proud when his daughter Tamsin made her stage debut in 1986. In 1987 the National Theatre gave a gala in his honor for his eightieth birthday, but it was obvious he was old and tired. In 1988 he gave his last performance: as a war veteran in War Requiem. In July 1989 his health declined so rapidly that his best friends Laurence and Mary Evans, his children and his wife rushed by his side. On July 11 he passed away of renal failure. His ashes were interred in Poets’ Corner in Westminster Abbey, an honor only given to a few actors. 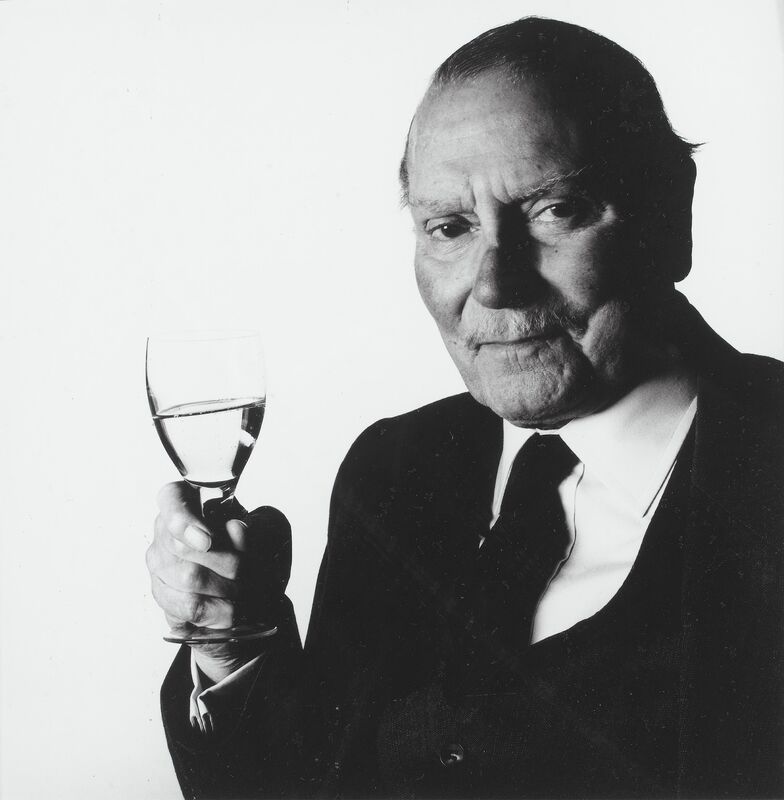 See his life in pictures in the Laurence Olivier Gallery. I like the photo of Vivien and Laurence together she reminds me in the ball dress of Blanche in Streetcar named Desire made in 1951. What a performance she gave so much pathos. Such a sad story really her illness and the break up of their marriage. Olivier was a great actor but unfortunately his personal life especially with VL was very stormy. These two are my all time favourites although I don’t remember them in their heyday I love their films together like Lady Hamilton for instance. I am glad their are sites to keep their memory alive thanks a lot. I quite agree Carole Heath nice comment. Yes VL was a sick woman sadly. LO must have gone through hell with her illness and decline. I think if they maybe have stayed together she may have not sure about this but she could have lived much longer than 53 years old. VL was i agree a good actress and such a lovely looking woman i can see why LO was capitvated and she was very intelligent too i hear. I think she may have been born with her disorder and certain things which happened in her life made it worse. In the 1950’s i met the Olivier’s after they did a play in London. 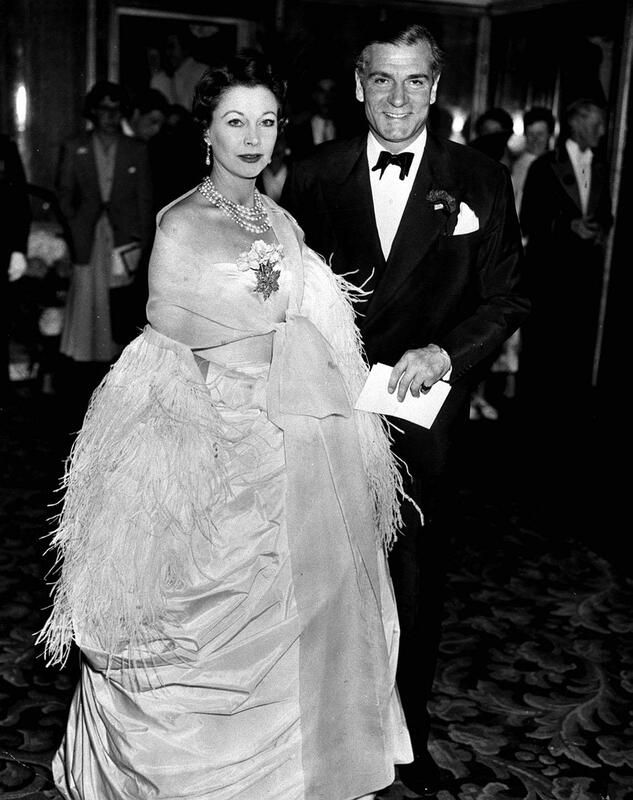 Laurence Olivier would not leave her side and he quickly got her into a car which was waiting for them after the show. They both gave me their autographs willingly with such grace and friendliness. I could see he wanted to get her away quickly from the general public. A few months later i read in the papers she had to come home from abroad where she was making a film as she was ill and was taken into hospital. Many years later i read a book about her life and it mentioned at this particular time she had suffered a nervous breakdown. So perhaps at the time i met them she was ill. She did seem very nervous and stressed i thought. VL despite her health problems was a real trooper who always tried to not let her fans down. Wow, what an amazing experience it must have been to have met these icons! And in such an important time in their lives as well. I agree that she seemed like a real trooper and it’s nice to hear that Laurence tried to protect her in this troubling time. Thank you for sharing your story!